Calling all gearheads and speed freaks, this one is for you. Porsche has just released the new Porsche 911 GT3 RS with a motorsport chassis. The latest high-performance sports car from Porsche might be its best one yet. Revealed at the Geneva Motor Show, the Porsche 911 GT3 RS was built for the track. With a four-liter, high-speed naturally aspirated engine, the 911 GT3 RS accelerates from 0 to 100 km/h in just 3.2 seconds, reaching a top speed of 312 km/h. The 911 GT3 RS was designed with aerodynamics as a primary focus. The wide, weight-optimized body has a traditional racing look with a classic rigid rear wing to match. The racing feel follows from the exterior to the interior with full bucket seats made of carbon, ensuring lateral support in response to high-level driving dynamics. This model also has lightweight door panels with storage nets and opening loops. The most powerful naturally aspirated engine ever made by Porsche finds it home in the new 911 GT3 RS, generating 520 hp. The four-liter, six-cylinder engine pushes the sports car to new limits by delivering 20 hp more than the engine in the previous model and the 911 GT3. With a speed range reaching up to 9,000 rpm, this engine was the ideal choice for this thoroughbred sports car. Combined with the seven-speed PDK, this engine delivers almost unbelievable driving performance. On top of those performance specs, the 911 GT3 RS also has a motorsport-inspired chassis. Technology developed on the racetrack has been placed into this model, ensuring that the chassis produces exceptional driving dynamics. Ball joints on all arms provide even greater precision than conventional elastokinematic bearings. Agility and steering are improved by 20-inch lightweight wheels with newly developed 265/35 sports tyres on the front axel while 21-inch wheels with 325/30 tyres at the rear axle improve traction. As with all current Porsche GT sports cars, the Clubsport package is available but comes at no extra cost for the 911 GT3 RS. This package includes roll-over bar, a manual fire extinguisher, preparation for a battery disconnection switch and a six-point belt. Additional packages are available that make the 911 GT3 RS even lighter. Drivers that want to shed some more weight can opt for the Weissach package. This package features additional carbon components for the chassis, interior and exterior as well as magnesium wheels. In its lightest configuration, this package reduces the total weight of the new 911 GT3 RS to 1,430 kilograms. Following in the footsteps of the 911 GT3 and the 911 GT2 RS, this latest release will be Porsche’s third GT street-legal sports car within a year. We say keep them coming. The model will be launched in Germany in mid-April of this year but Porsche Austin is currently accepting pre-orders for the 911 GT3 RS. 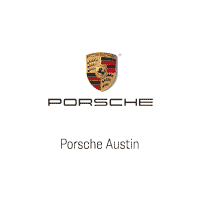 For more information about the 911 GT3 RS visit Porsche Austin online or give their team a call at 512-377-9261.